High quality classic boar bristle brush that oozes style. 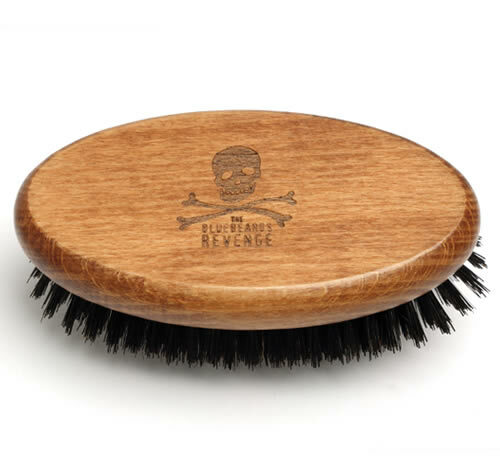 The Bluebeards Revenge Military Brush is a go-to beechwood-handled brush that is perfect for keeping shorter styles in check. It's rubber-cushioned and densely packed with boar bristles that will help condition the scalp and remove dandruff. On top of all of this it manages to look great in the barber's or on the dresser.